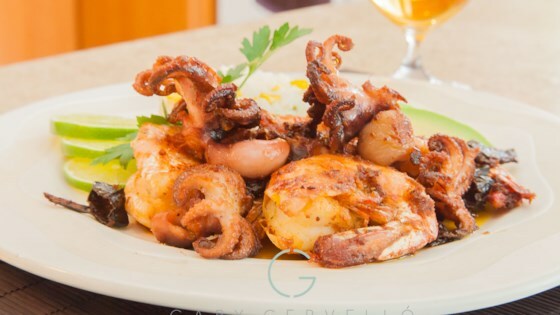 "Giant shrimp and baby octopus are cooked in garlic mojo sauce with a touch of pasilla chiles. A delicious recipe that is very easy to make. Serve with white rice, avocado, and a very cold beer."